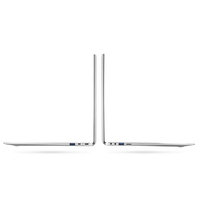 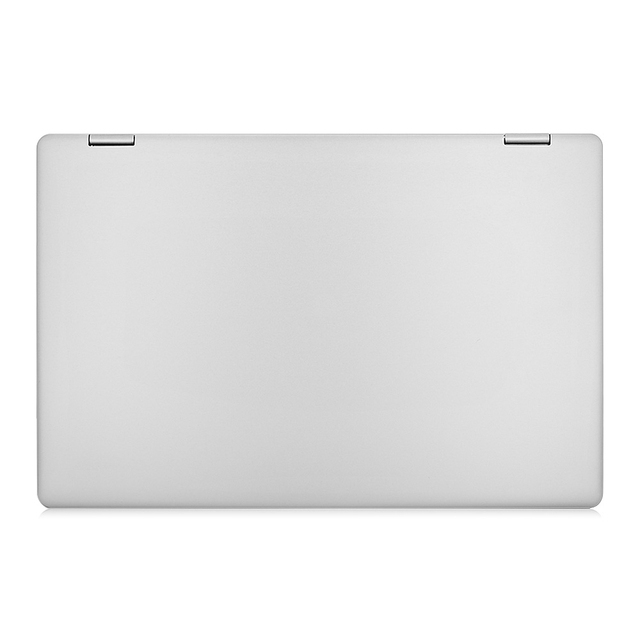 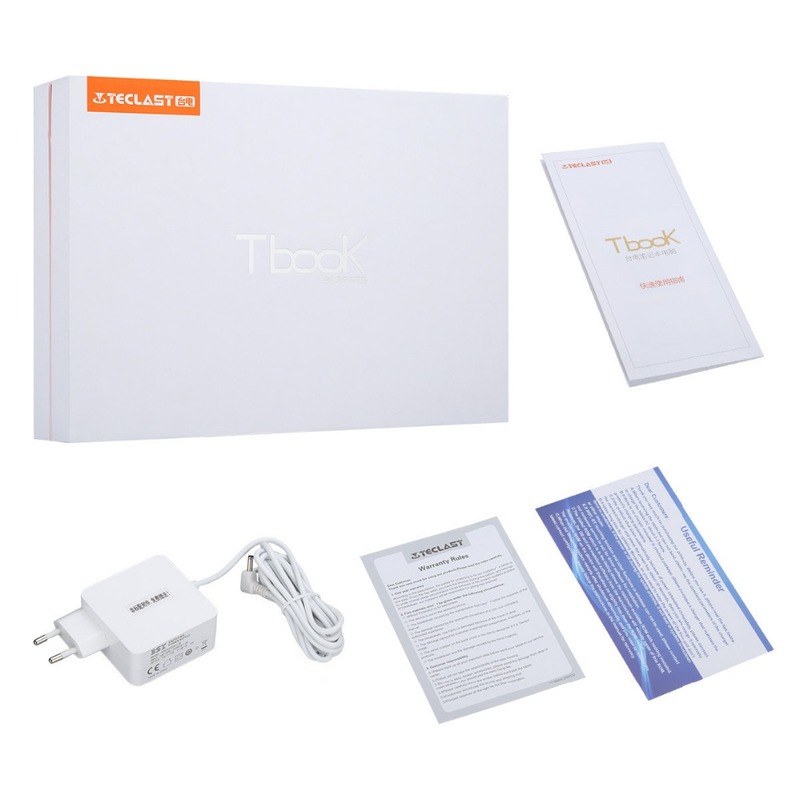 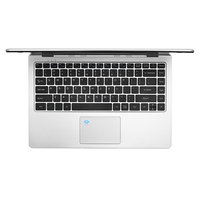 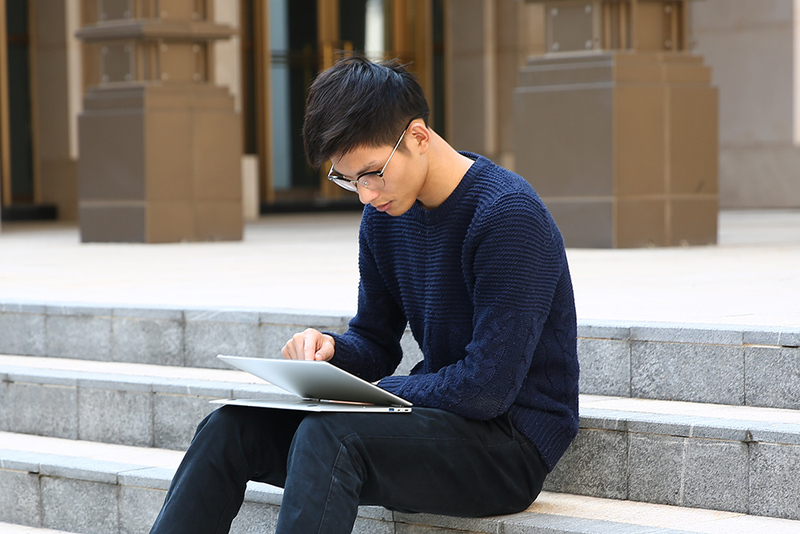 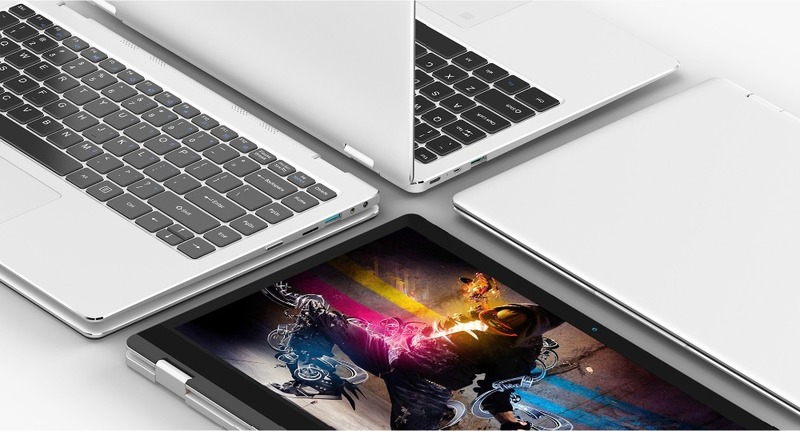 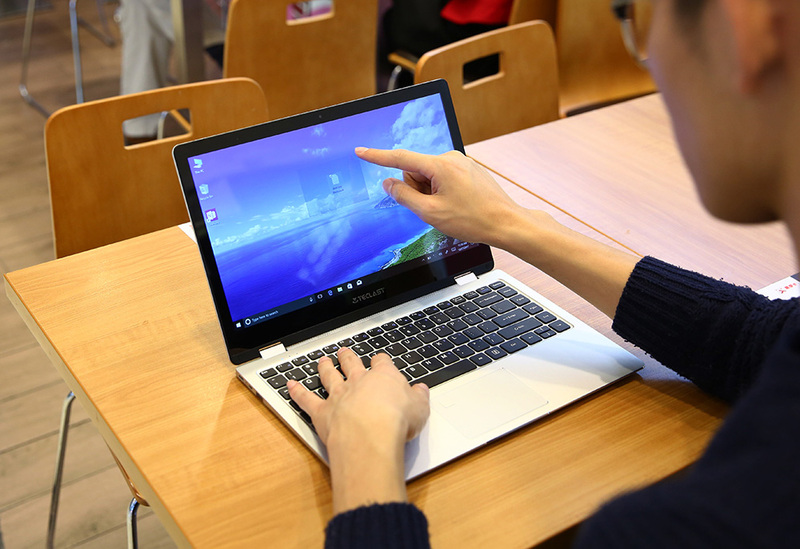 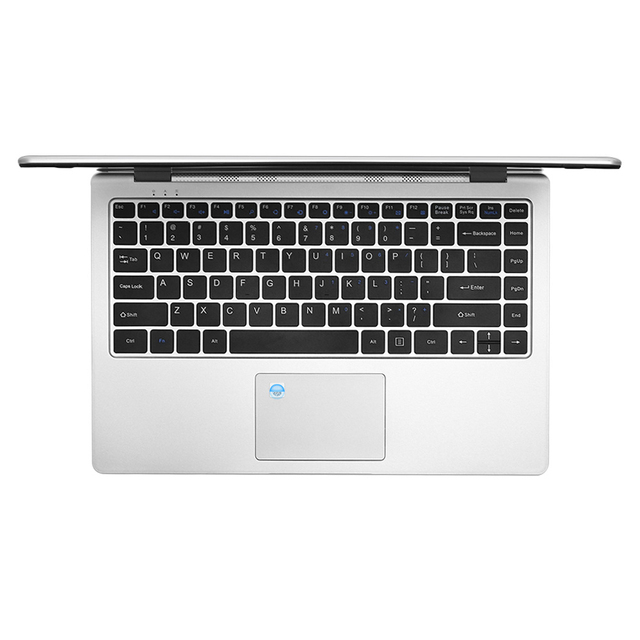 Teclast F6 Pro Notebook	A cost-effective notebook which supports fingerprint recognition. 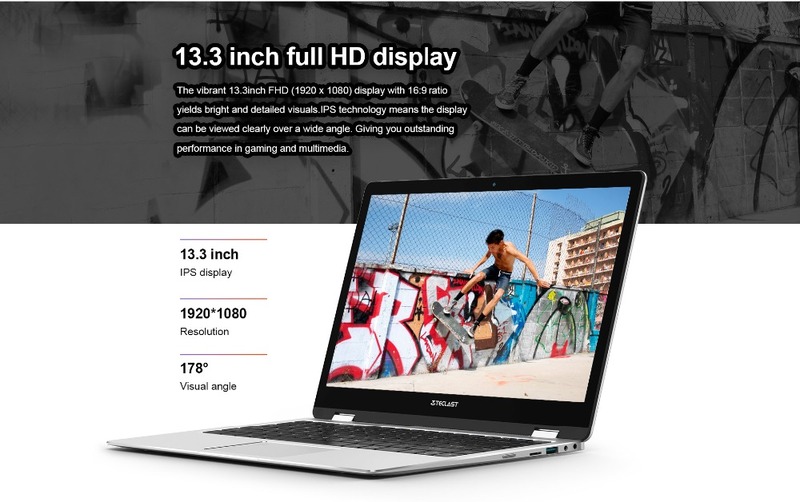 Equipped with a 13.3 inch FHD IPS display, brings your photos and videos to life. 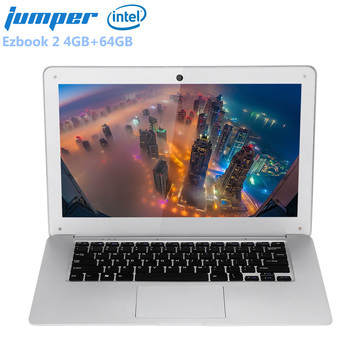 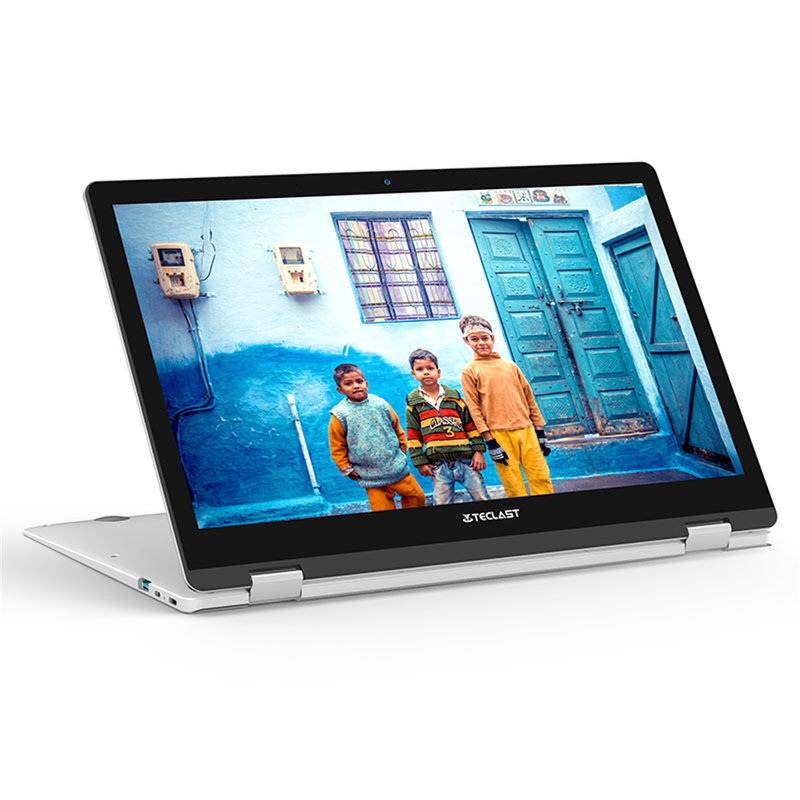 Powered by Intel Core processor, featuring Intel HD Graphics 615, ensures high performance. 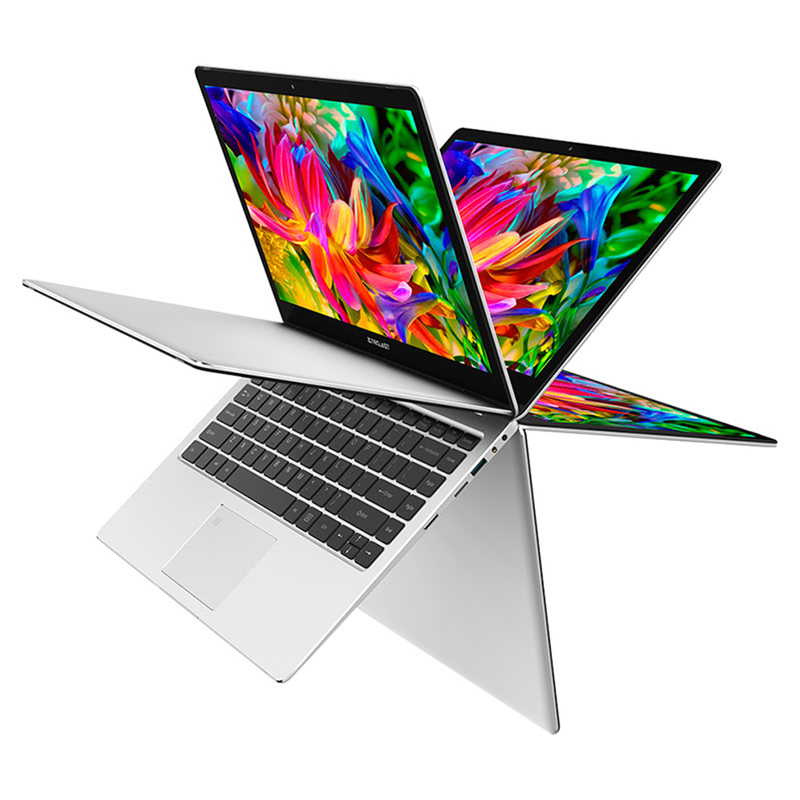 Main Features:	● Microsoft Windows 10 OS Offers more powerful performance brings you more smooth and wonderful user experience	● Intel Core m3-7Y30 Dual Core 1.0GHz, up to 2.6GHz Ultra-low-voltage platform and dual-core processing provide maximum high-efficiency power to go	● Intel HD Graphics 615 On-processor graphics with shared video memory provide high image quality for Internet use, basic photo editing and casual gaming. 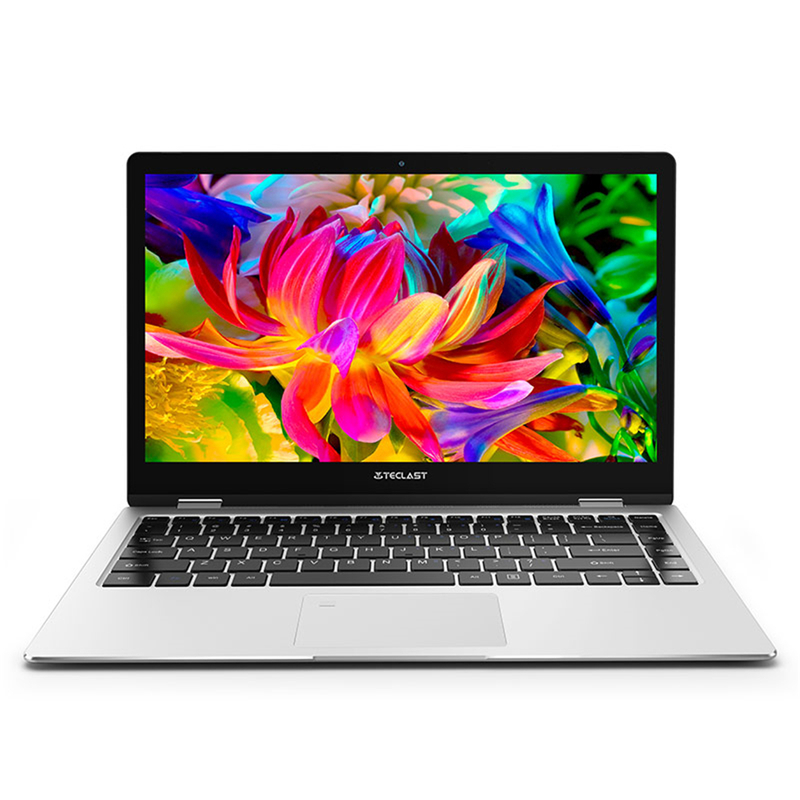 Optimized to use less power	● 8GB DDR3 RAM for Advanced Multitasking	Substantial high-bandwidth RAM to smoothly run your games, photos and video-editing applications	● 13.3 inch IPS Screen with 1920 x 1080 Resolution IPS FHD ( 1920 x 1080 ) display, brings you a vivid and colorful visual enjoyment	● 128GB SSD Storage Capacity Provides room to store pictures, videos, music and more	● Camera for Photos and Face-to-face Chat 2.0MP front camera lets you capture memorable moments or chat with friends	● Bluetooth 4.2 Interface Syncs with Compatible Devices Wirelessly transfer photos, music and other media between the computer and your Bluetooth-enabled cell phone or MP3 player, or connect Bluetooth wireless accessories	The laptop has only one SSD slot ( 128GB ), if you need more storage, please buy a new SSD with larger storage to change by yourself. 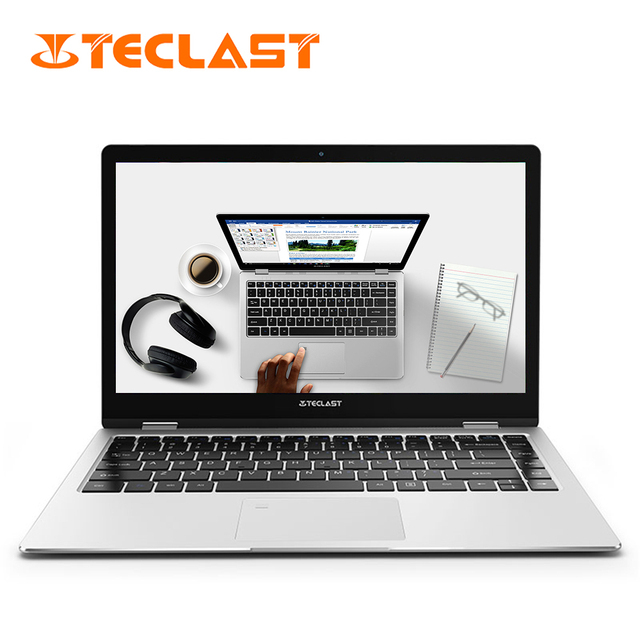 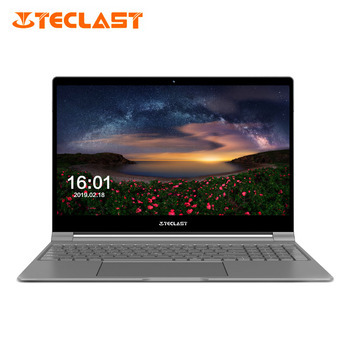 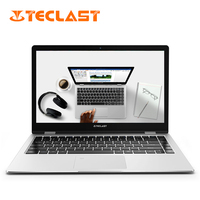 Specification:	Basic Information	Brand:Teclast	Model: F6 PRO OS:Windows 10	CPU:Intel Core M3 7Y30	CPU Brand:Intel	Graphics Chipset:Intel HD Graphics 615	Graphics Type:Graphics Card	Caching:4MB	Core:1GHz,Dual Core	Process Technology:14nm	Type:Notebook	Threading:4	CPU Series:Intel CoreM	Graphics Card Frequency:300MHz – 900MHz	Storage	Hard Disk Interface Type:M.2	Hard Disk Memory:128G SSD RAM:8GB	RAM Type:DDR3	Network	Bluetooth:Bluetooth 4.2	Support Network:WiFi	WIFI:802.11 ac	WLAN Card:Yes	Display	Display Ratio:16:09	Screen resolution:1920 x 1080 (FHD)	Screen size:13.3 inch	Screen type:IPS	Camera	Camera type:Single camera	Front camera:2.0MP	Connectivity	3.5mm Headphone Jack:Yes	DC Jack:Yes	HDMI:Yes	TF card slot:Yes	Type-C:Yes	USB Host:Yes (2x USB 3.0 Host)	General	AC adapter:100-240V 12V 2A	Battery Type:7.6V / 5000mAh, Li-on polymer battery	Charging Time: 3 – 4 hours	Color Silver	Fingerprint Identification:Supported	Material of back cover:Aluminum Alloy	MIC:Supported	Skype:Supported	Speaker:Supported	Standby time:4 – 5 hours	Youtube:Supported	Languages	Languages:Windows OS is built-in English, and other languanges need to be downloaded by WiFi. 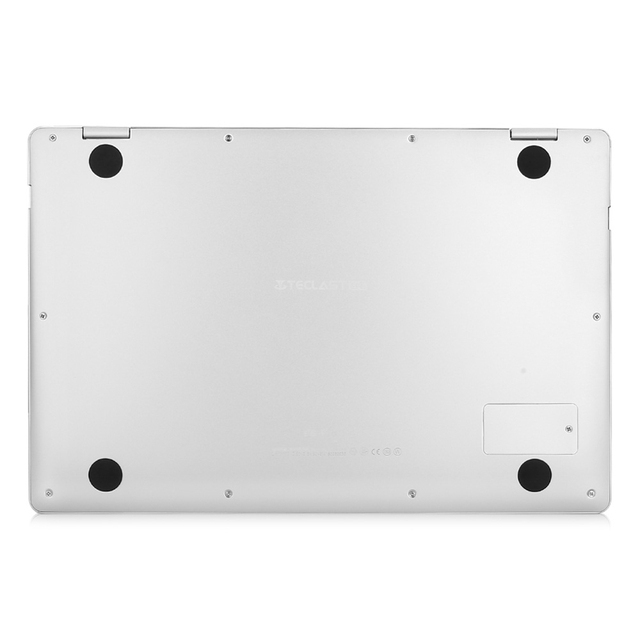 Keyboard	Backlight Type:No	Dimensions	Package size:37.00 x 26.00 x 8.00 cm / 14.57 x 10.24 x 3.15 inches	Package weight:2.3790 kg	Product size:31.50 x 20.80 x 1.60 cm / 12.4 x 8.19 x 0.63 inches	Product weight:1.3880 kg	Package Contents	Charger:1	English Manual:1	Notebook:1	Note:	Our store has the following keyboard stickers: Russian, Spanish, Deutsch, Japanese, Thai, Arabic, Korean, Hebrew, French, Italian. If you need the keyboard stickers, you can leave us a message about the keyboard sticker you need when placing your order. 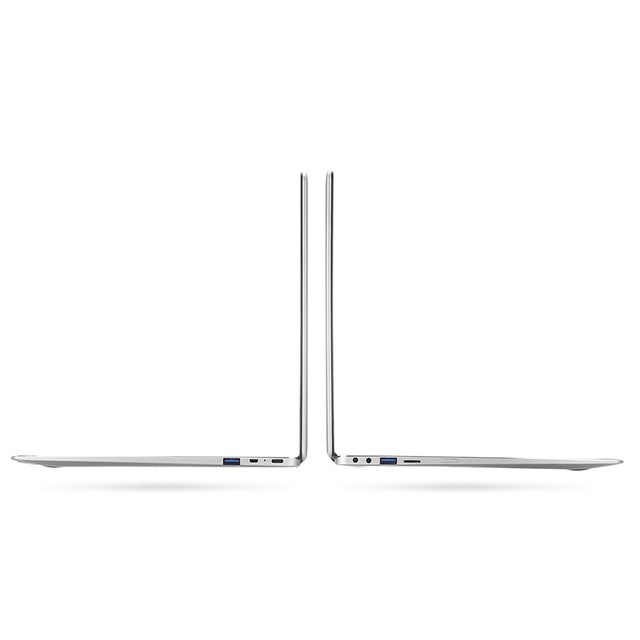 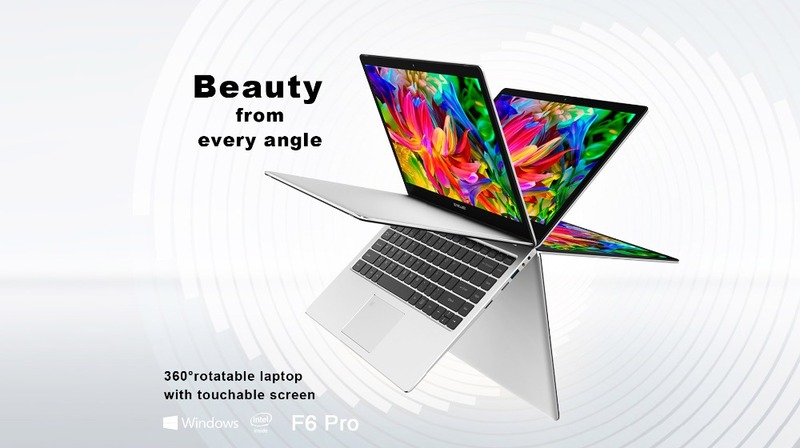 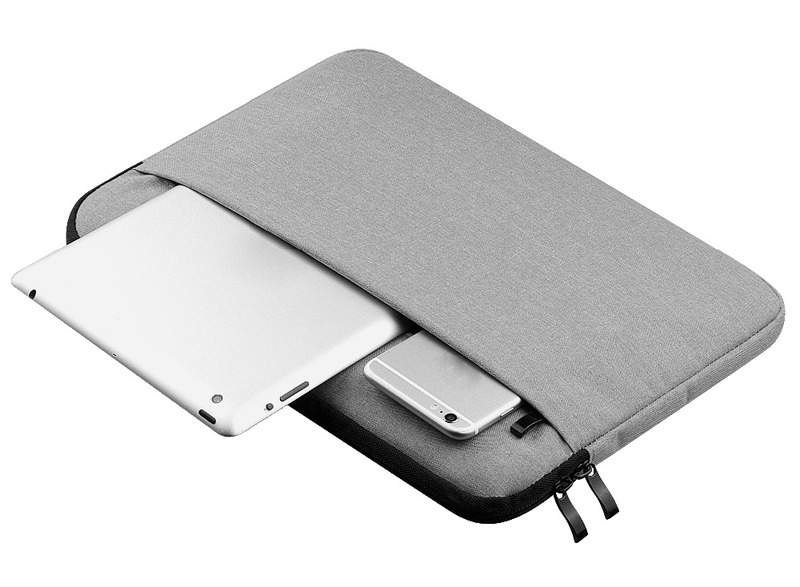 Pictures:	Beauty from every angle	360° rotatable laptop with touchable screen. 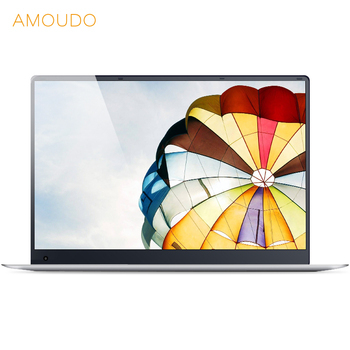 Flexible and touchable	F6 peo allows the screen to flip around 360 degrees,so you can select the mode based on what you choose to do.A touchable display makes it easy to use. 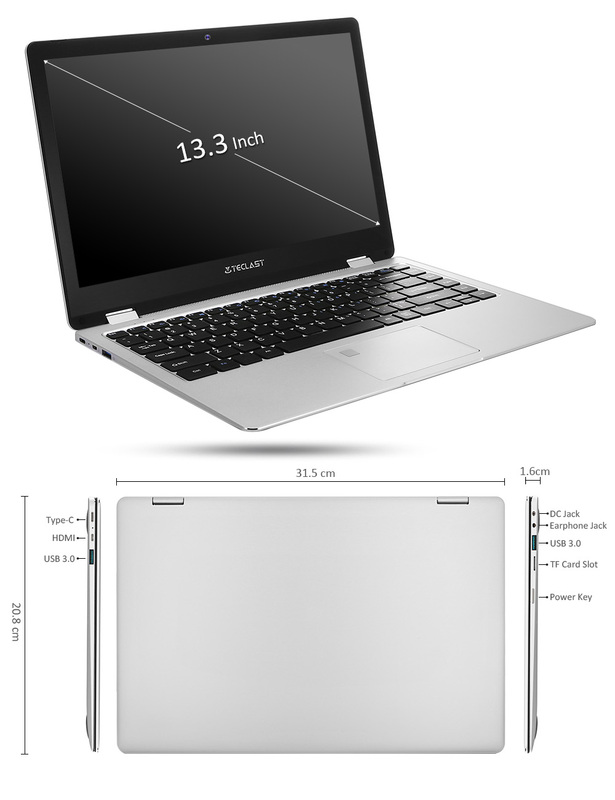 25000 times open-close test	To guarantee quality,The durable hinge of F6 Pro pasts 25000 times open-close test. 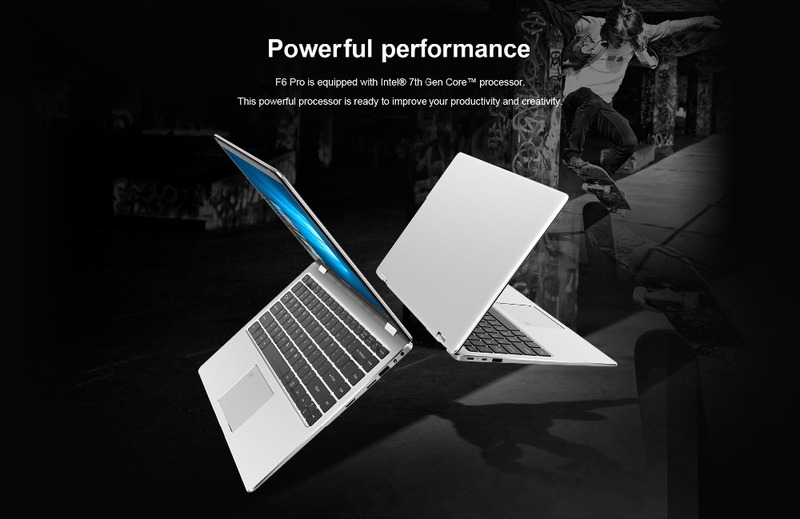 Powerful performance	F6 Pro is equipped with Intel 7th Gen CoreTM processor.This powerful processor is ready to improve your productivtiy and creativity. Intel 7th Gen CoreTM processor	The Intel Core m3-7Y30 features 14nm process and 2.6GHz burst frequency to enable 28% performance improvement and better efficiency than previous generation. 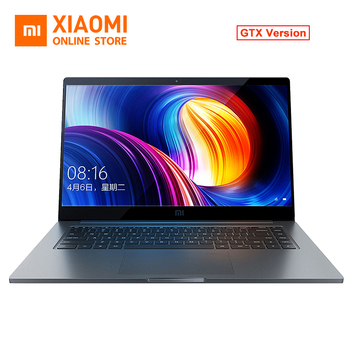 9th Gen HD Graphics	The Intel HD Graphics 615 GPU has 24 Exection Uints and runs with clocks max 900MHz.Comparing with the previous generation,the performance is improved 25%. 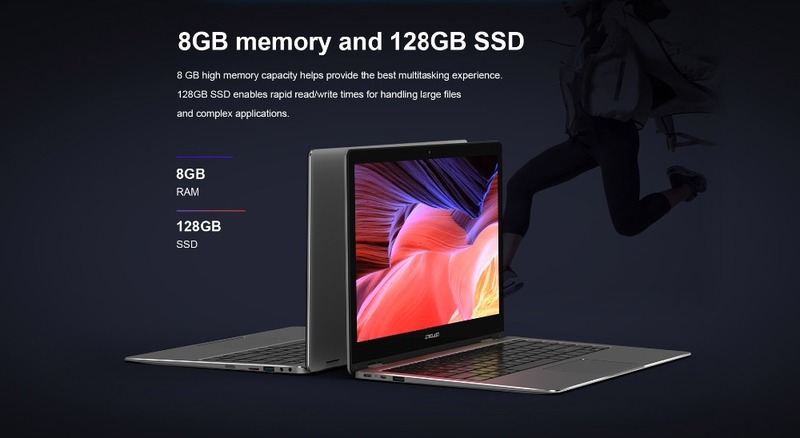 8GB memory and 128GB SSD	8GB high memory capacity helps provide the best multitasking experience.128GB SSD enables rapid read/write times for handling large files and complex applications. 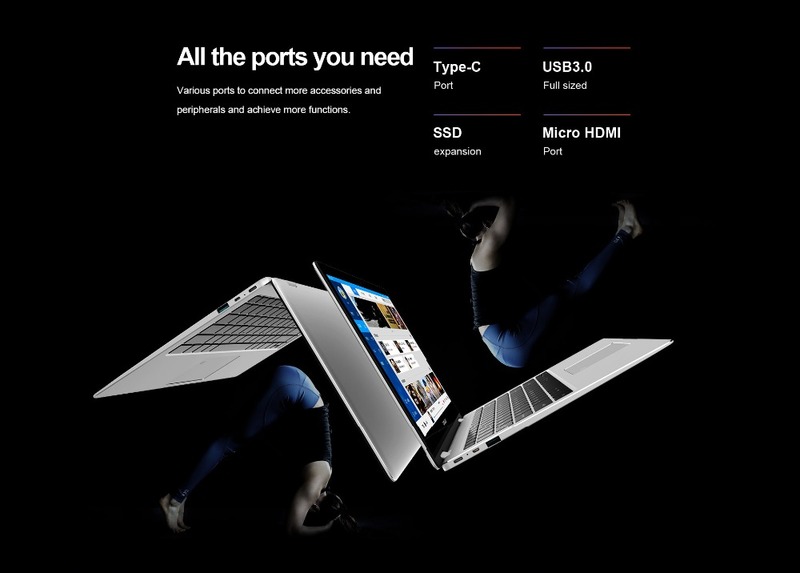 SSD expansion slot	Need more storage? 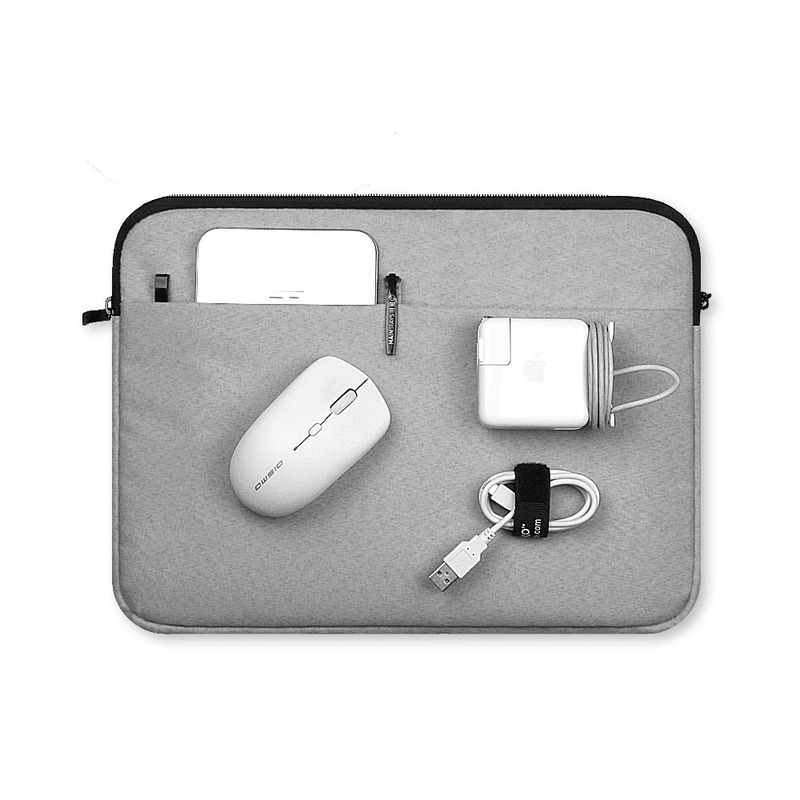 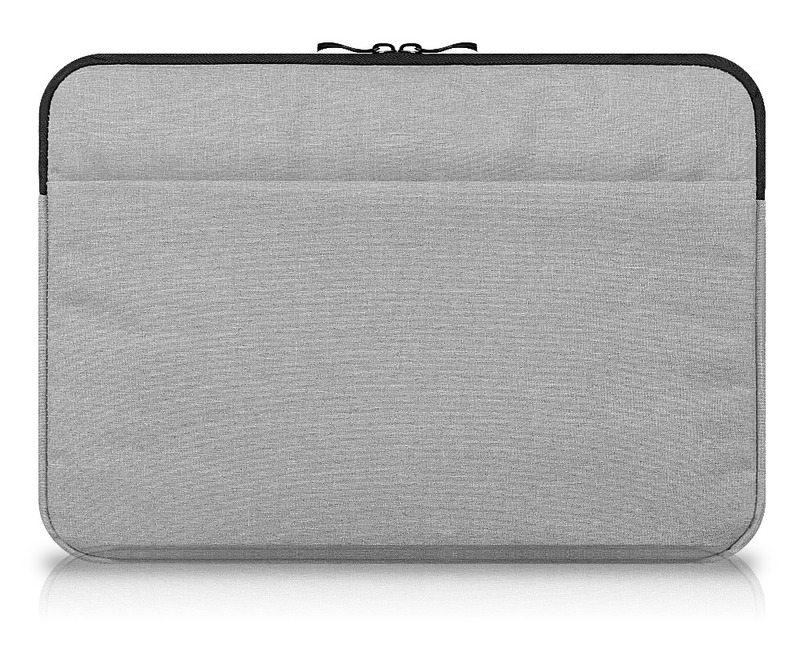 A SSD extension slot allows you have more space for your personal data. 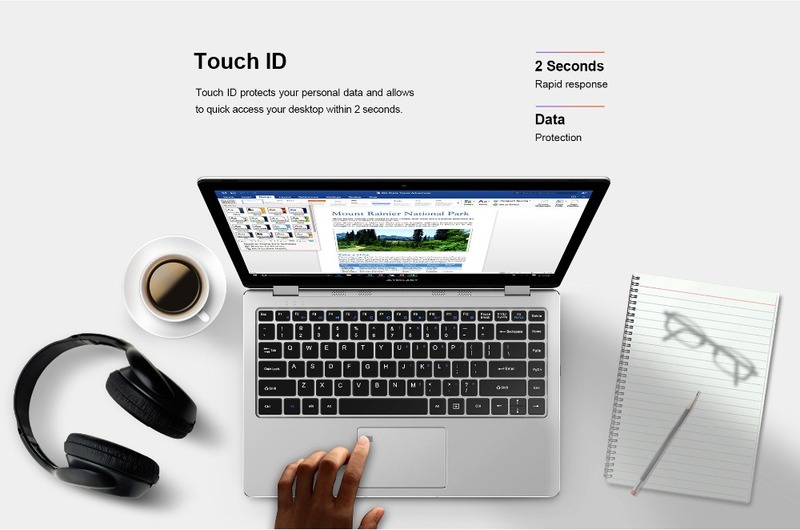 Touch ID	Touch ID protects your personal data and allows to quick accrss your desktop within 2 seconds. 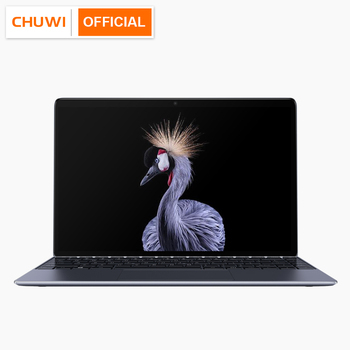 13.3inch full HD display	The vibrant 13.3inch FHD(1920*1080) display with 16:9 ratio yields bright and detailed visuals.IPS technology means the display can be viewed clearly cover a wide angle.Giving you outstanding performance in gaming and multimedia. 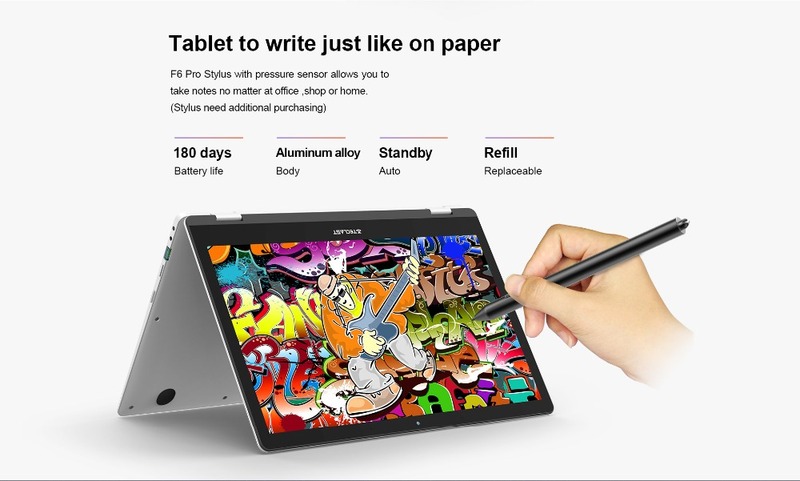 Tablet to write just like on paper	F6 Pro Stylus with pressure sensor allows you to take notes no matter at office,shop or home. 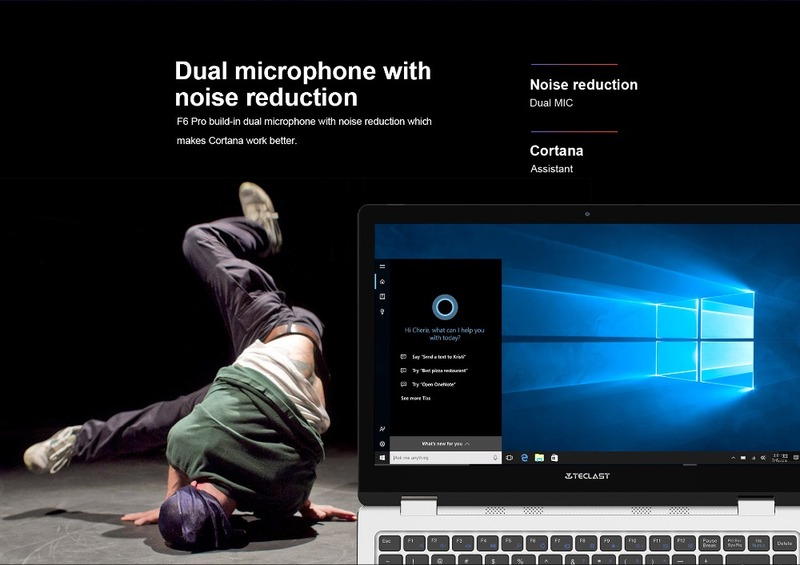 (Stylus need additional purchasing)	 About 1.38kg	Weight	 Dual microphone with noise reduction	F6 Pro build-in dual microphone with noise reduction which makes Cortana work better	 All the ports you need	Varios ports to connect more accessories and peripherals and achieve more functions. 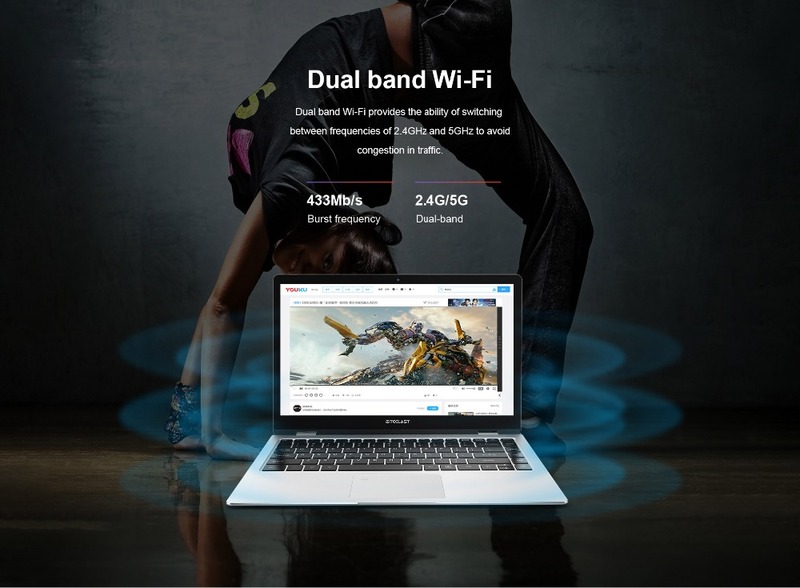 Dual band Wi-fi	Dual band Wi-fi provides the abilityof switching between frequencies of 2.4GHz and 5GHz to avoid congestion in traffic.